Jewelry : This design is nothing but stunning, fabulous and luxurious the same way a jewel should be. 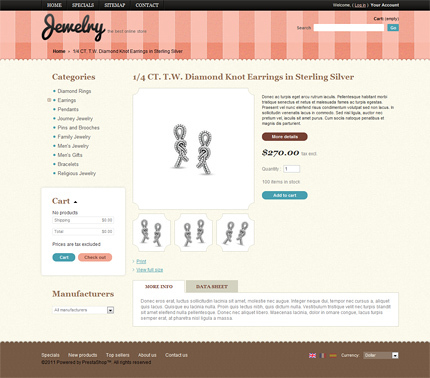 Template 35381 is designed for jewelers, jewelry stores, jewelry boutiques, ethnic jewelry, watches, watch repair, art jewelry, jewelry appraisal, gemologist services, etc. Bonus with every purchase With each template purchase you get Free Web Design Elements: photos, fonts, icons, 3d models, sounds. Buy template 35381 from zeronese today and get access to the Free Clipart & Free Web Design Elements library.